River Wrights Boat Builders in Hartford, CT is a no-profit program that teaches career skills and life skills to at-risk teens. Vi Beaudreau oversees the project, which was started by a graduate of the Apprentice Shop in Rockport, ME. In the past 3 years, the teens have built four CLC Millcreek 13 kayaks, several strip built canoes, a CLC Triple Kayak, a Nutshell Pram, two 14' skiffs, and a replica of a Connecticut River Duckboat.They have also restored two Beetle cats, a 1960 Poulsbo skiff, a Penn Yan runabout, and a 1950's Grady White runabout. 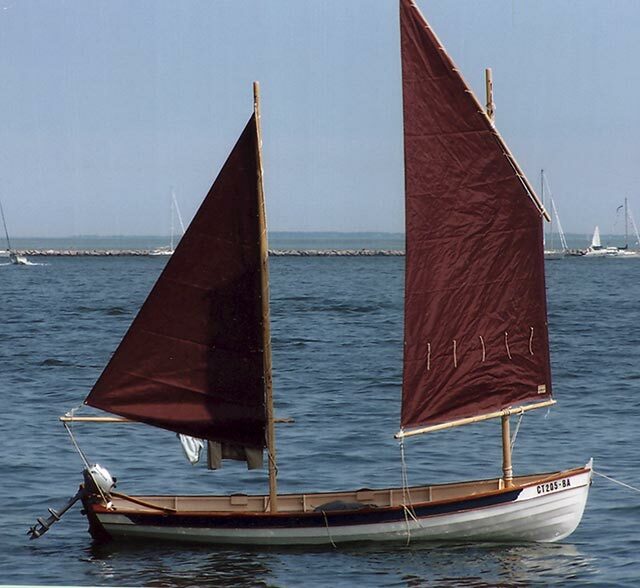 Their latest creation is this Penobscot 17 with lug ketch rig, that they built for David Gilroy. Designer Arch Davis can be contacted at River Wrights can be contacted through vbeaudreau@hotmail.com or at their address at River Wrights Boat Builders, 427 Franklin Avenue, Hartford, CT 06114.